Many people in Austin are hesitant to contact a lawyer even when they know they have a serious problem. For example, maybe you have been hurt in an accident, but you don’t feel it was bad enough to mention. Perhaps, you are afraid of dealing with fees and insurance. Whatever the case is for being hesitant to hire an Austin personal injury attorney, you will actually find that Robert Littlefield Buford III, Attorney at Law will assuage all of your concerns and help you get the most out of a painful situation. Will Hiring a Lawyer Only Make Things Worse? Exacerbating the situation with a lawyer is one of the first reasons people are reluctant to consider legal counsel. Though many cases concerning personal injuries should in fact involve the help of a lawyer (to assist with necessary paperwork and act as a mediator with insurance adjustors), most attorneys offer free consultations where they will encourage you or discourage you from taking legal action, based on the evidence and details of your case. In short, hiring a lawyer in involved personal injury and insurance issues won’t make things worse; it will make your life substantially easier. 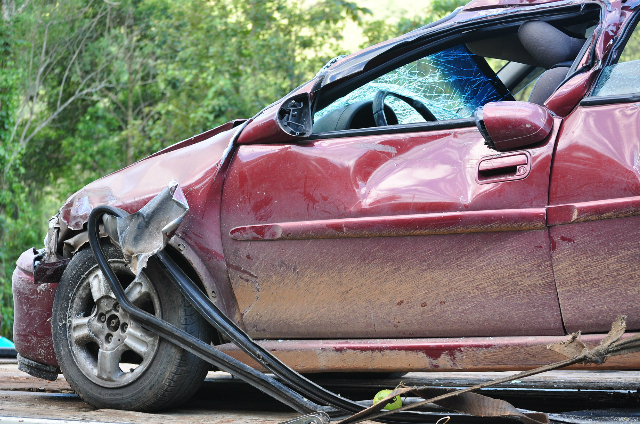 The types of personal injuries most common in Austin are those of car accidents or premises/construction liability. These types of personal injury cases are usually very involved, as they deal with belligerent insurance companies who are dedicated to avoiding shelling out for their clients who are clearly at fault of your injuries. They are also particularly difficult because they often involve police reports, and accuracy in these reports is key to receiving a full compensation amount. Different parts of your personal injury can be drawn out, too, making the process especially tedious waiting for replies and dealing with paperwork. As a personal injury attorney in Austin, I specialize specifically in these areas to ensure that you can focus on healing while I fight for compensation for your medical expenses, insurance costs, and pain and suffering. But Won’t a Lawyer Only Prolong the Process? This is another popular misconception. Some people think lawyers only want to drag out legal proceedings unnecessarily to satisfy their own egos and wages. The fact is complicated cases, including ones associated with several doctors’ visits, surgeries, and other ongoing medical expenses, take a lot of time, regardless if you are using a lawyer or not. Hiring me as an attorney, however, won’t make the process longer, and in fact, the whole process could be expedited. There is no reason that an attorney should want to prolong your case, as our earnings are largely based on your compensation. We are incentivized to helping you receive the best results in the shortest amount of time. Beyond that, I am also dedicated to providing excellent service and personally believe victims of personal injury accidents need someone on their side, advocating for their cause while they are on the mend. Can I Really Afford a Lawyer? Even if you know you need to speak with an attorney, you may still hesitate to contact one because you are worried about the cost. But consider the potential long-term costs if you do not hire a lawyer. Statistics show, however, that even after attorneys are compensated for their work, their clients receive more compensation than they could have received alone. This is because of our working knowledge with the law, and insurance companies know they won’t be able to get out of paying you what is due. The truth is you have as much better chance of succeeding and getting the care you deserve when you hire me as your attorney. I you live in the Austin area and need assistance from an experienced Texas personal injury lawyer, contact the office of Robert Littlefield Buford III, Attorney at law, today.